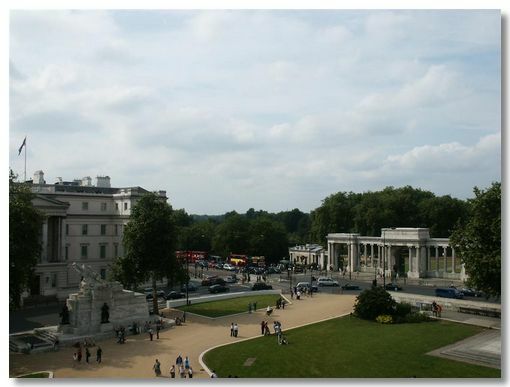 The Wellington Arch is now on a busy traffic island straddling the junctions of Hyde Park, Green Park and Buckingham Palace. 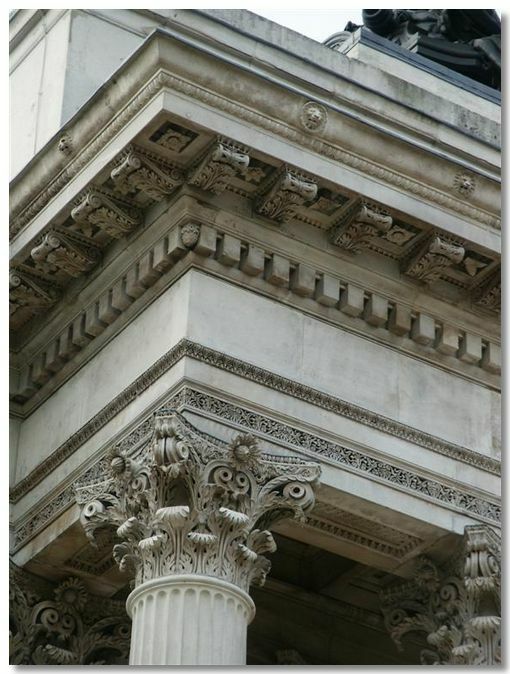 It was originally planned to act as one of the main gateways into the centre of London. Not being wide enough it was later moved so that traffic flowed round it rather than through it. 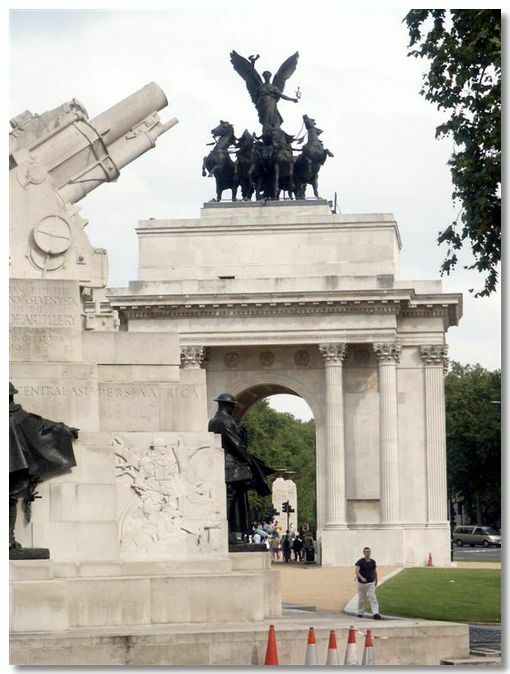 The arch was completed in 1830 along with Marble Arch as public memorials commemorating our triumphs over Napoleonic France. 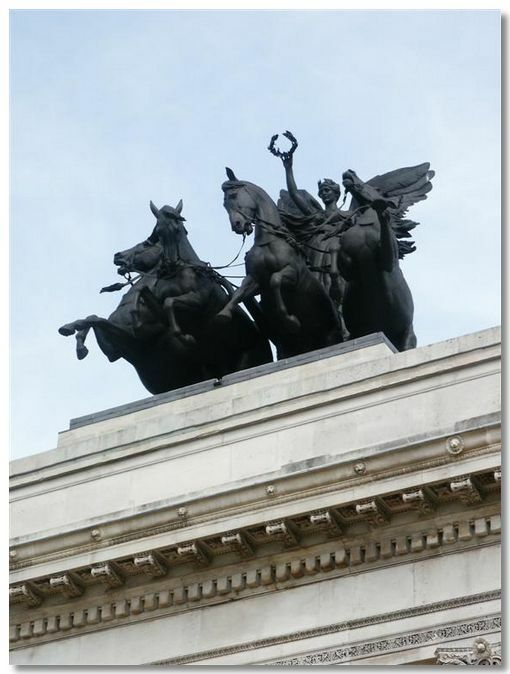 The Wellington Arch complex continues its military theme with the later addition of the Royal Regiment of Artillery Memorial, seen here in the foreground. The arch originally had a massive state of Wellington on top. 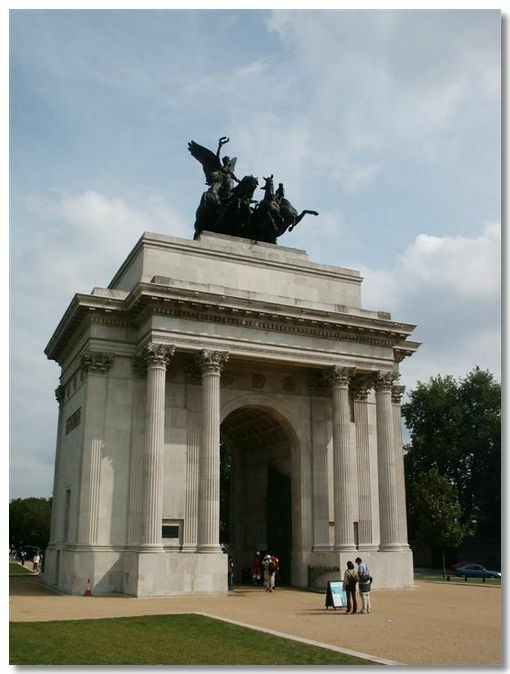 Unfortunately the statue looked ludicrous and was not popular, so when the arch was moved in 1883, the statue was re-sited to Aldershot and was replaced by the Triumph statue. The corner looking up to the base of the Triumph statue. 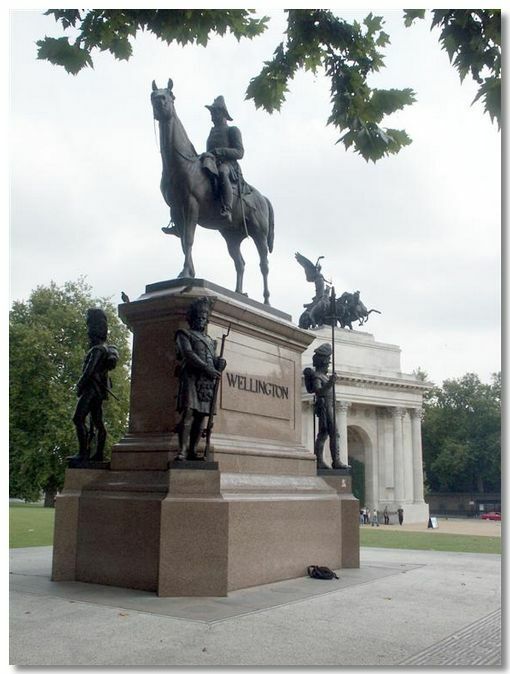 The Wellington statue with its back to the Arch, but facing Apsley House. 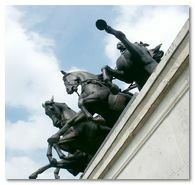 The best part of the Wellington Arch is not seeing it from the ground, but going to the top and seeing the views. 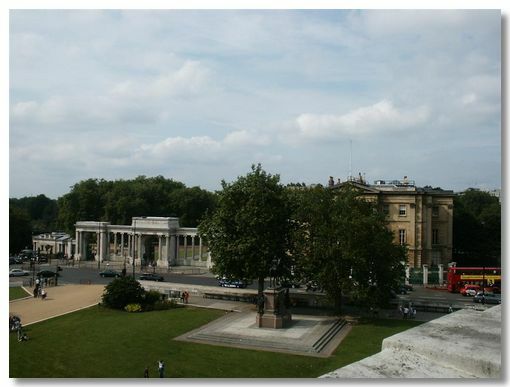 This view shows on the left what used to be St George's hospital but has now been turned into a fancy hotel and on the right is the Hyde Park Screen. The Duke of Wellington's home, Apsley House, hidden behind the trees. It has the best possible address "Number 1, London" and is on the corner of Hyde Park. If you have time, pop in as it is well worth a visit. Looking down Constitution Hill. In the centre the sharp eyed can just see the top of Big Ben poking up above the trees. 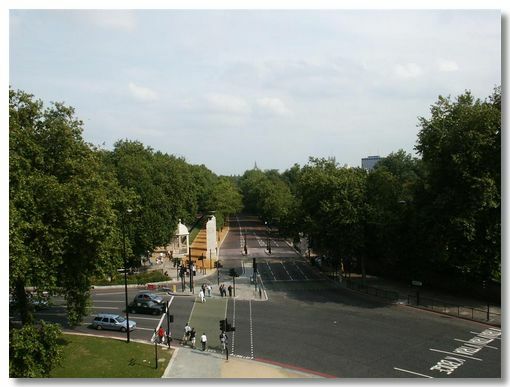 On the left is Green Park and on the right Buckingham Palace. If you are interested in the views from here, best to come in Winter when you can see more as the trees have shed their leaves.